Our well-appointed and spacious Studio Apartments feature an open plan design with a modern kitchenette and combined lounge & dining area. 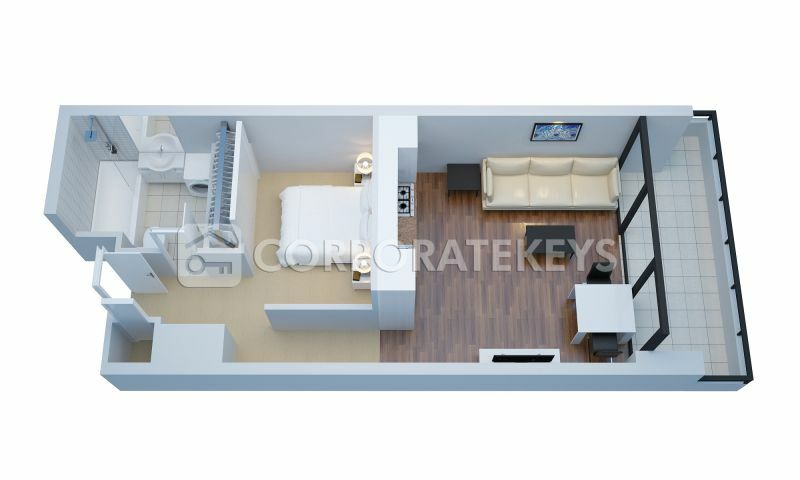 This apartment is approximately 29sqm and is complete with either a queen bed or king split bed with combined lounge area, LCD TV with Foxtel TV channels, WiFi access and ensuite bathroom with shower over bath. A fully equipped kitchenette featuring a full-sized fridge with freezer, stovetop, dishwasher, convection microwave and dining table allows meals to be prepared and enjoyed in the apartment.